Clarice Silber - Reporter for the CTMirror (@ClariceSilber). Shuttered national parks, TSA workers calling in sick, hundreds of thousands of paychecks missed. Americans around the country are feeling the impact of the longest government shutdown in U.S. history. But it’s not just federal employees who are struggling. This hour, we find out how the shutdown is affecting some of the country’s most vulnerable residents. And later, New Haven has approved a new civilian review board to investigate cops accused of misconduct. Cities across the country have turned to civilian review boards as models for police oversight and accountability, but do they work? On a January night in 2018, there were more than 3,000 people experiencing homelessness across the state of Connecticut. This hour we sit down with Dr. Richard Cho, the new CEO of the Connecticut Coalition to End Homelessness. 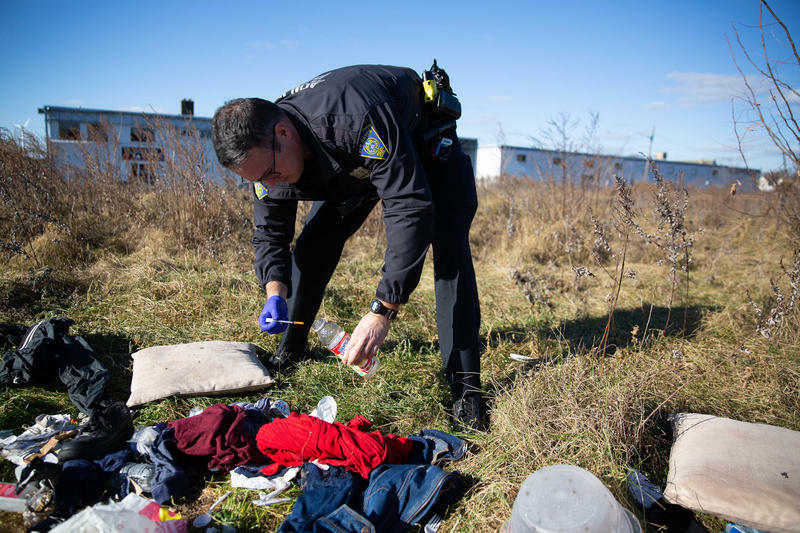 Connecticut has made major strides in reducing homelessness, but how do we address areas where residents are still falling through the cracks? It's a fall Monday morning in New Haven, Conn., and Officer Christian Bruckhart has lost track of how many calls he has had. He thinks it has been six. Maybe seven. In our first live broadcast from Connecticut Public Radio’s studio at Gateway Community College, Where We Live sits down with New Haven’s Police Chief Anthony Campbell.